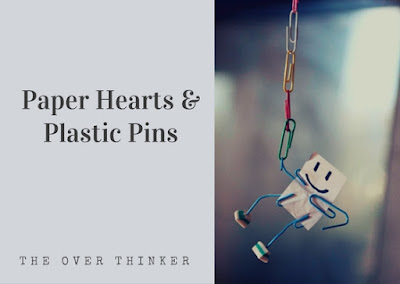 Hello world, this week on ”The Over Thinker” is a love themed week ”Paper Hearts & Plastic Pins”. We will be having guest writers share what love means to them. I really hope you enjoy it! If yes is no, then why isn’t no yes? And if you can’t live without me why do you want to kill me?